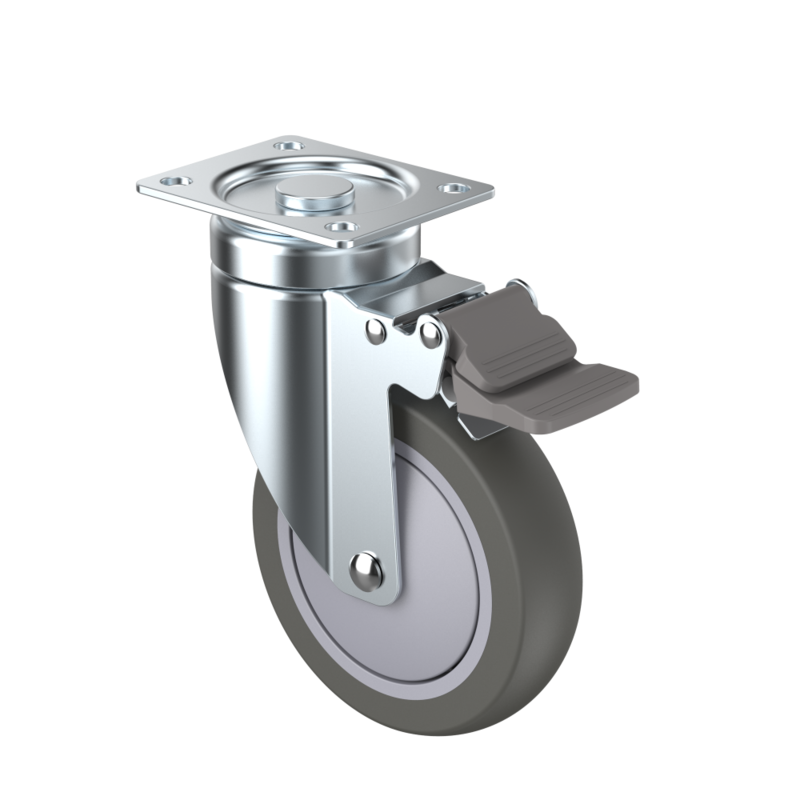 TKS offers a wide range of castors and they are roughly classified as industrial castors and medical castors. However, we don’t have to strictly follow the classification as it is merely a recommendation for use. 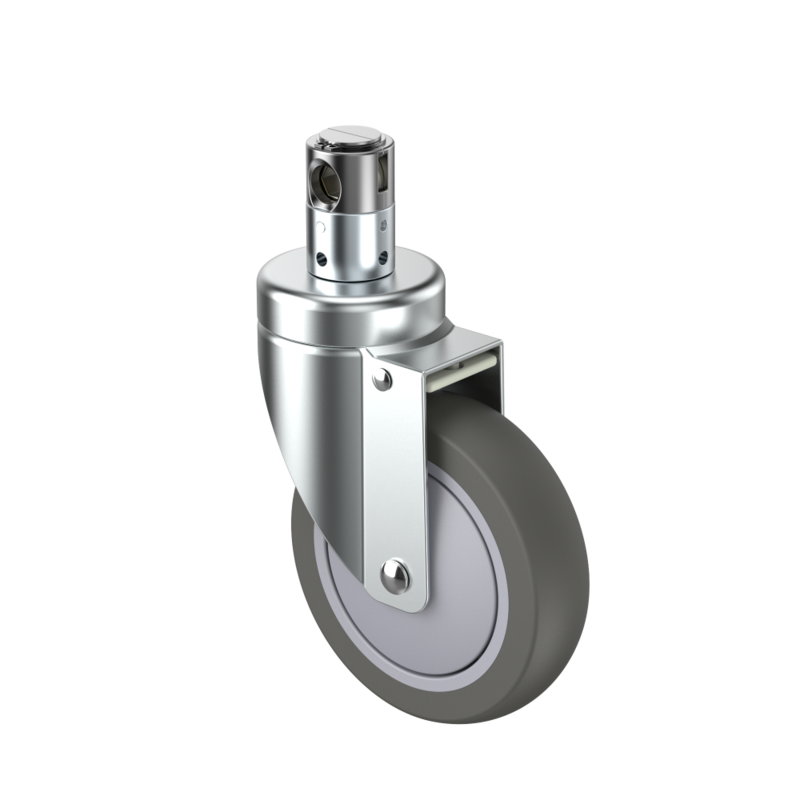 Some of the casters can be also used for both industrial and medical. It is depending on customer’s demand. 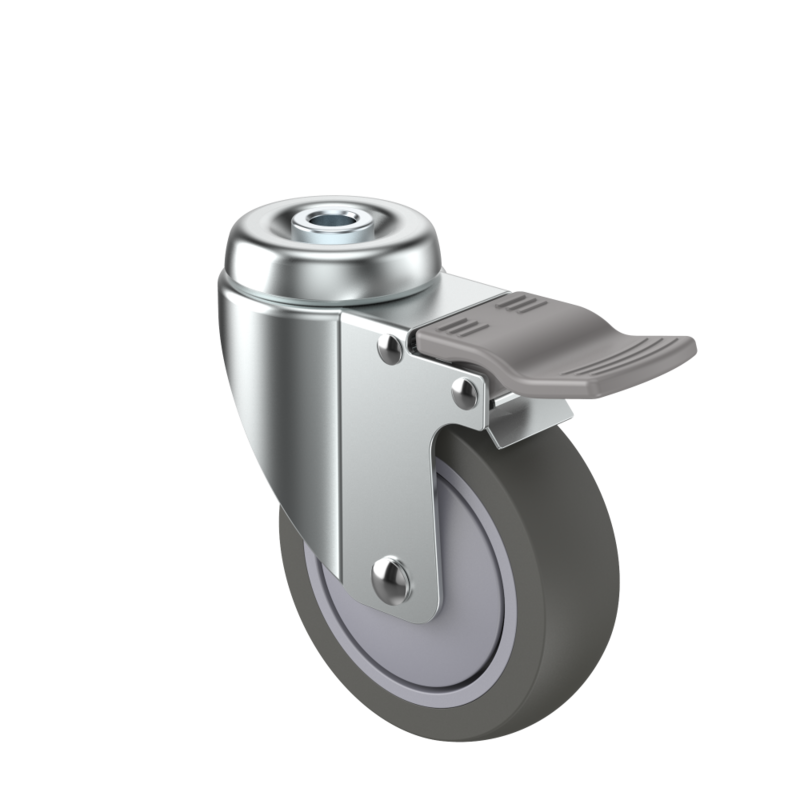 【 Industrial casters series】all made of pressed steel. 32 series: The smallest wheel size is 2.5”. Suitable for low load capacity equipment, e.g. drip rack, ward screen. 34 series: Wheel size is 3”, 4” and 5” available. Suitable for trolley and handcart. 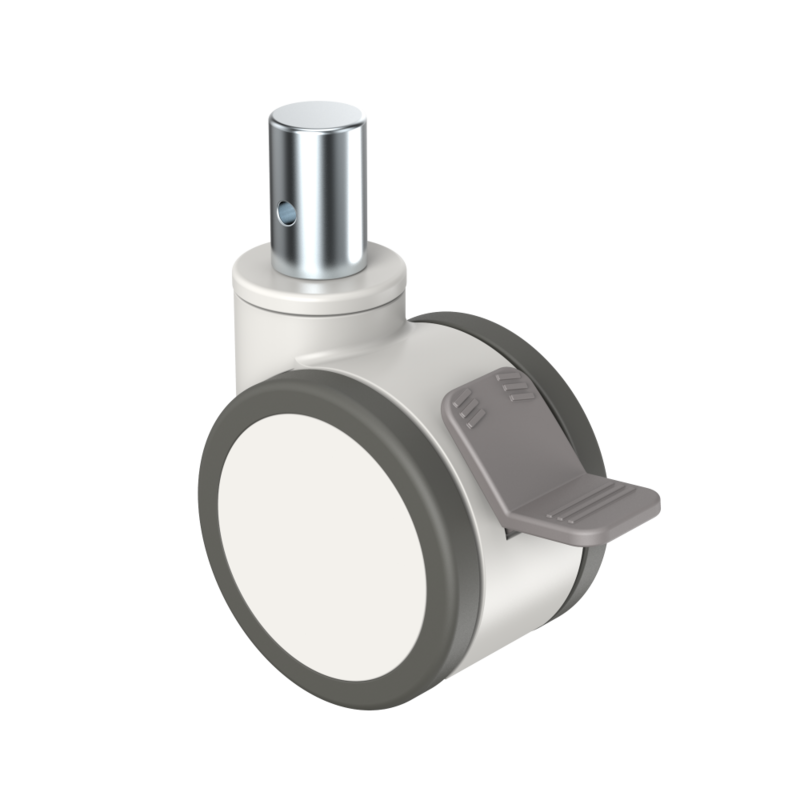 35 series: Wheel center is installed precision ball bearing. Wheel size is 3”, 4” and 5” available. Another option for housing is stainless steel and brake pedal is metal material. Suitable for kitchen equipment and laboratory equipment. 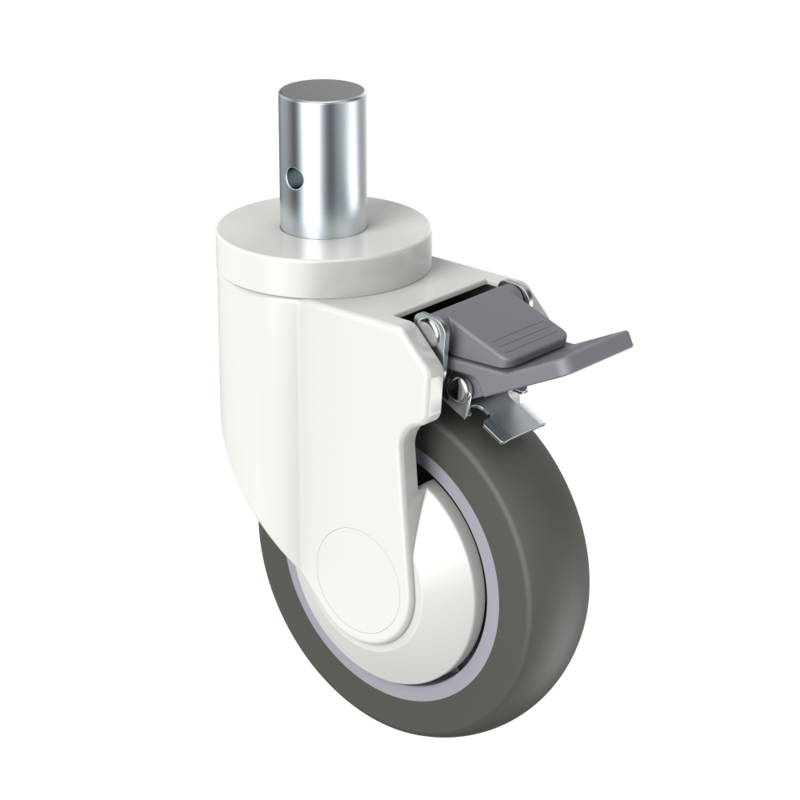 362 series: Wheel center is installed precision ball bearing. Wheel size is 3”, 4” and 5” available. Brake pedal is plastic double pedal which is easy to use. 37 series: Wheel center is installed precision ball bearing. Wheel size is 5”、6” and 8” available. and the housing structure is stronger making the static capacity up to 130kg. 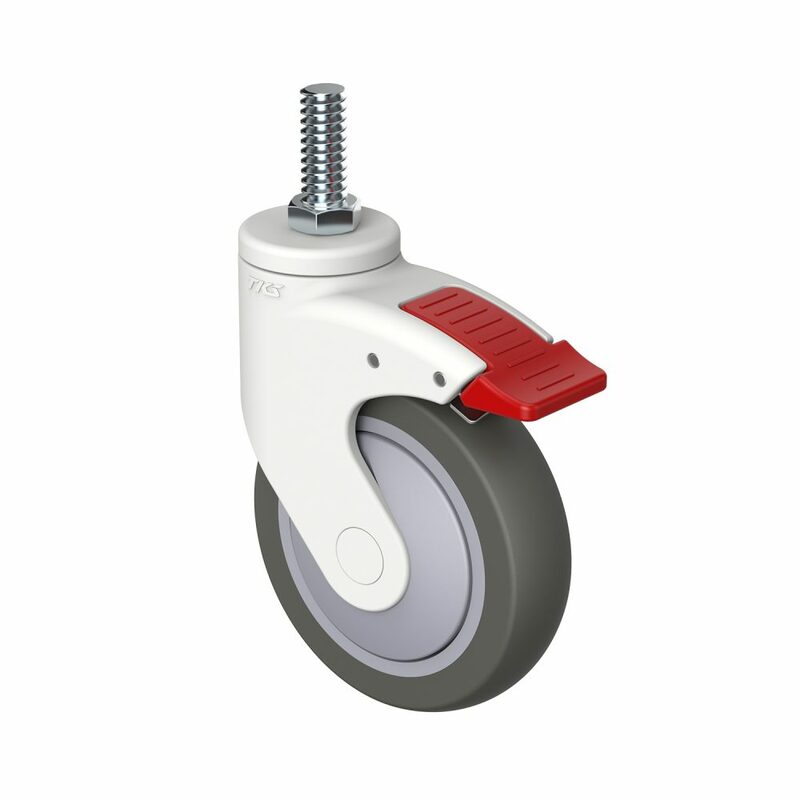 42 series: Nylon made wheel size is 2.5” and 3” available, while TPE made wheel size is 4”, 5” and 6” available. 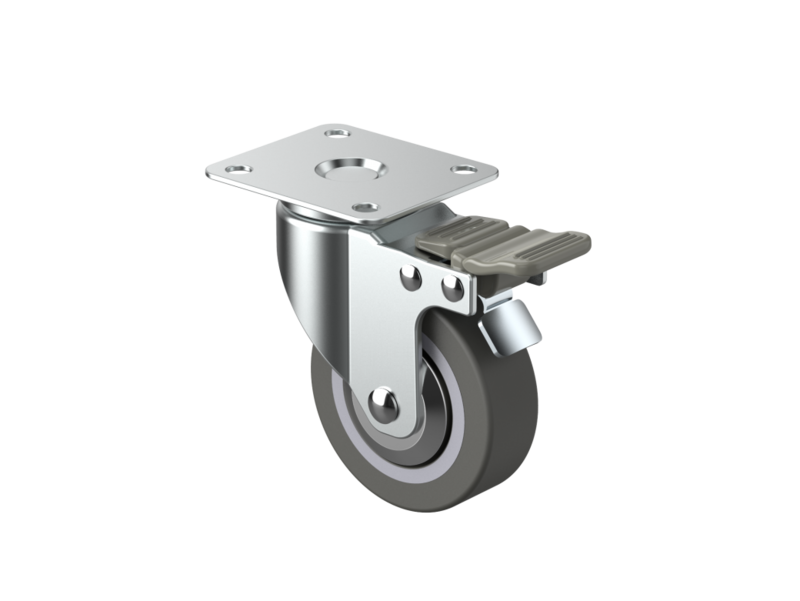 The load capacity is the highest among the industrial casters. Suitable for heavy duty equipment, e.g. large machinery, industrial handling equipment. 362 series: Same with the industrial 362 series. Plastic dust cover is also available for medical use. 37 series: Same with the industrial 37 series. 392 series: Housing is made of Polyamide with fiberglass, double wheels, and wheel size is 4” and 5”available. 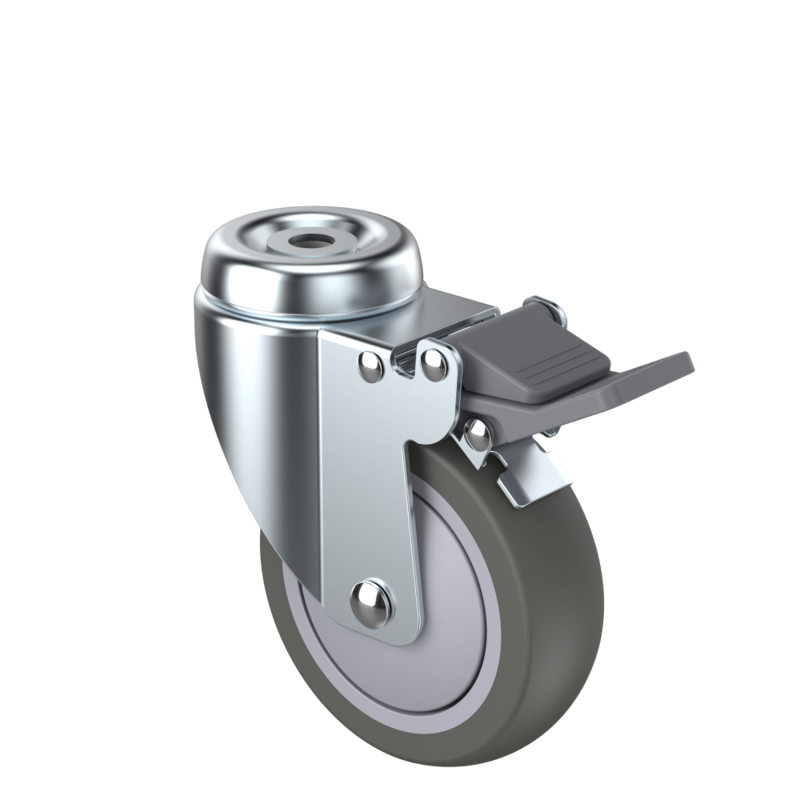 Each swivel head and wheel center has two precision ball bearings. With four precision ball bearings, the slide and turn are extremely smooth and quite. Suitable for medical care equipment. 412 series: Housing is made of Polyamide with fiberglass and wheel size is 4” and 5”available. 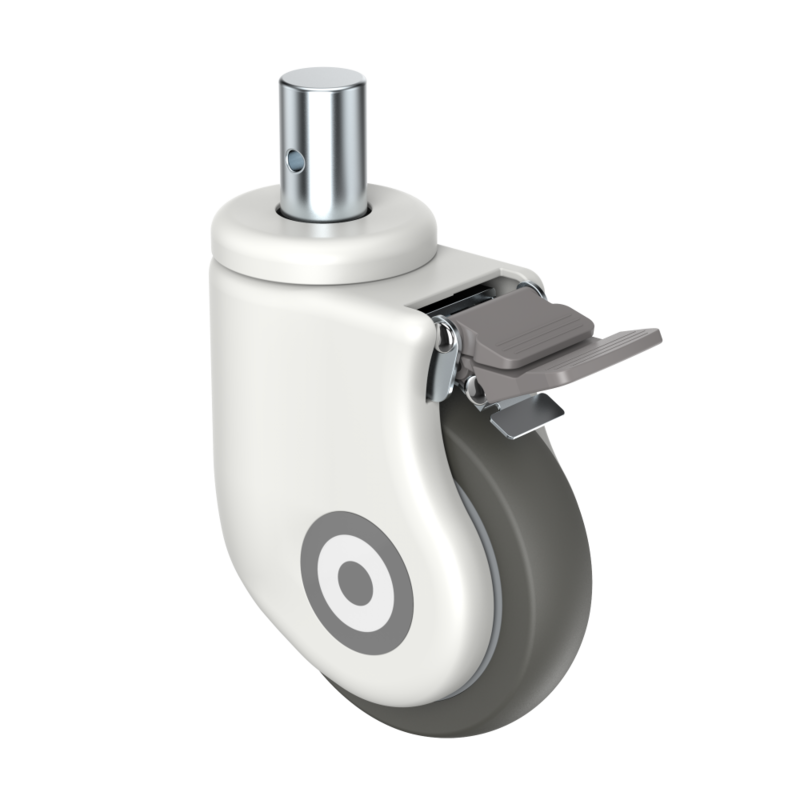 Swivel head and wheel center is sealed with precision ball bearings. Suitable for normal medical equipment e.g. medical apparatus and medical related furniture. 38 series: Housing is made of pressed steel. Central lock caster. Wheel size is 4”, 5”, 6”and 8” available. 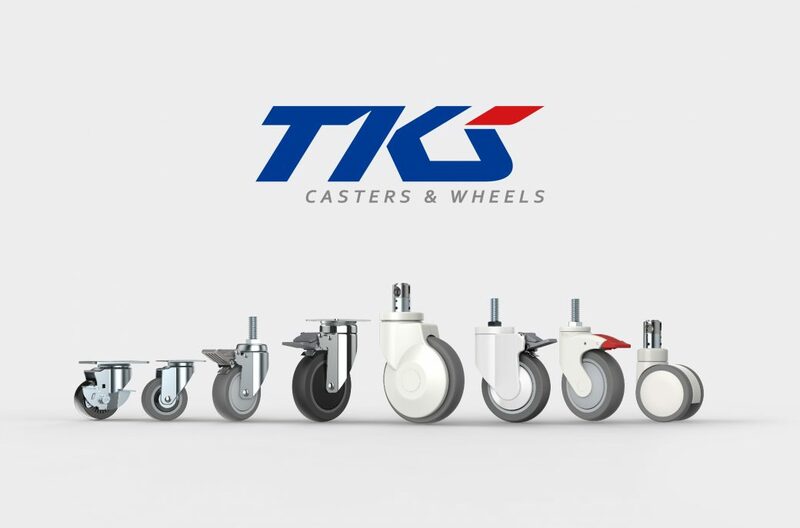 The frame and the swivel head is combined together by the pressed insert of TKS patented technique which enhances the caster strength. 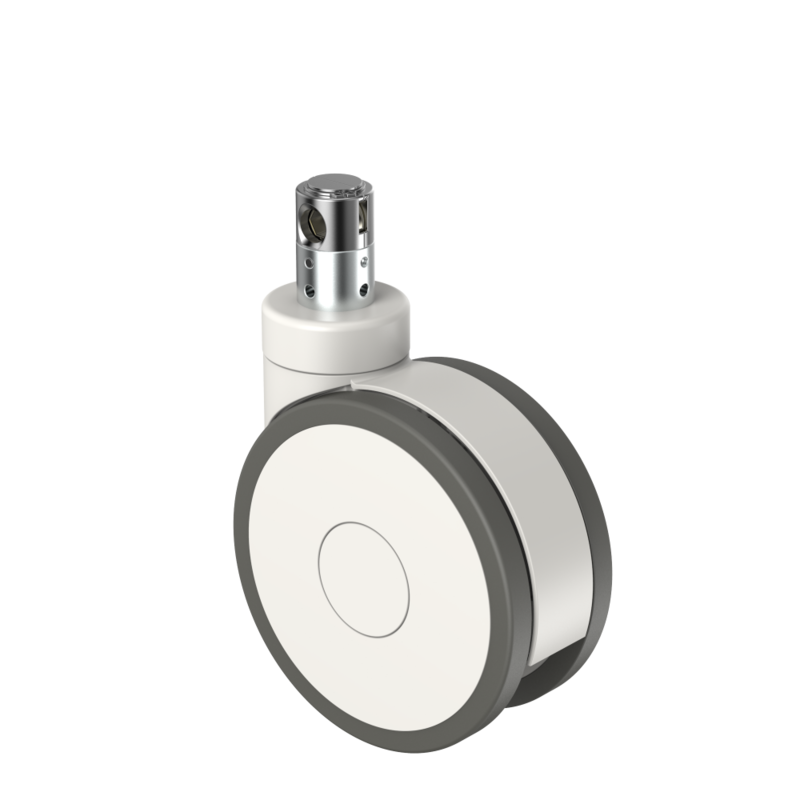 38P series: 38 series with plastic dust cover, central lock caster. Wheel size is 5”, 6”and 8” available. 382 series: Frame is made of Aluminum, central lock caster. Wheel size is 5”, 6” and 8” available. Aluminum integrated molding makes the frame stronger and the slide smoother. Suitable for medical bed. 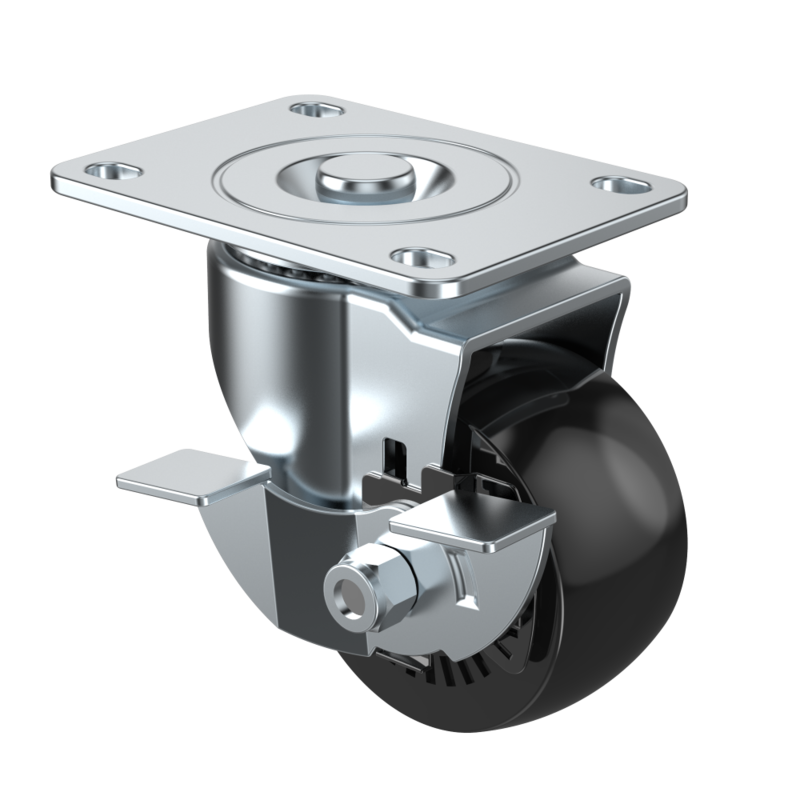 402 series: Frame is made of Aluminum integrated molding, central lock caster, double wheels. Wheel size is 4”, 5” and 6” available. 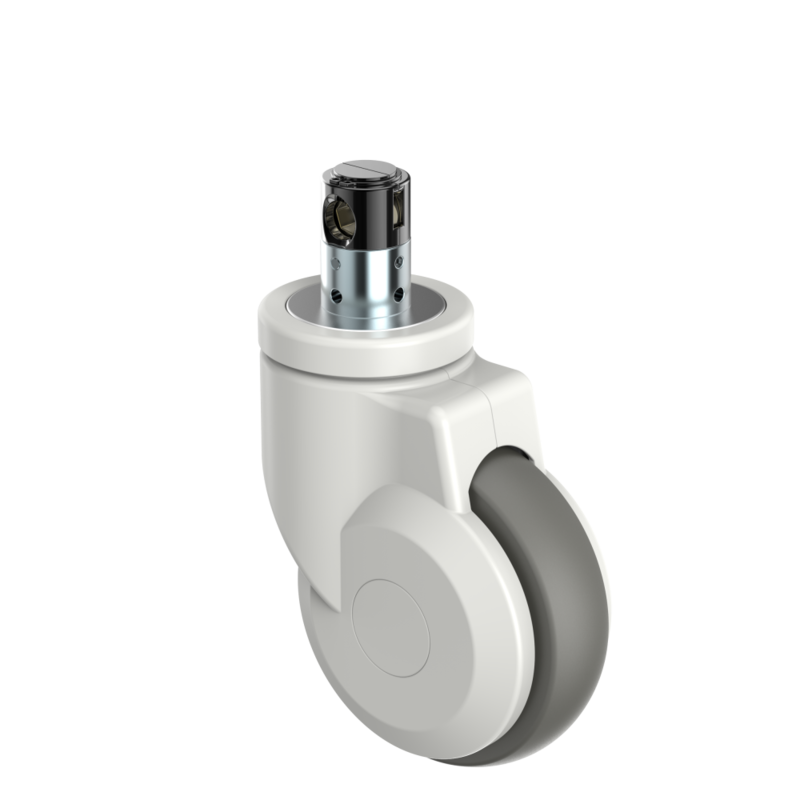 ach swivel head and wheel center has two precision ball bearings. and many fittings available – thread stem, top plate, fixed, round stem, plain stem and bolt hole. TKS also welcome customized order as we are always dedicated to fulfill customer’s demand. 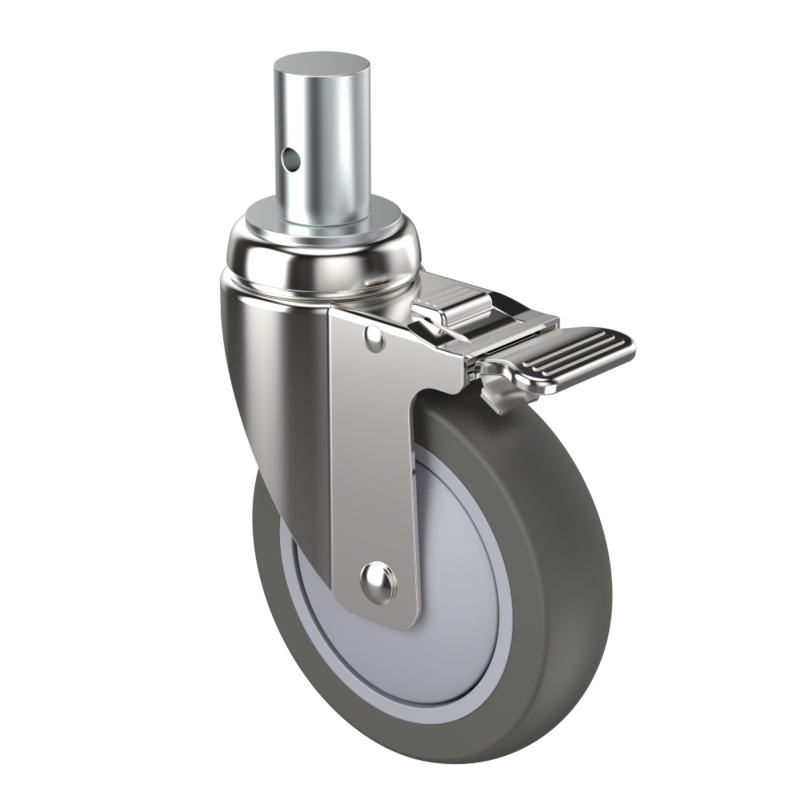 Central lock casters have cam structure, and functions of directional, swivel, total lock converse by the cam position changes. The central lock casters are installed on the beds and the four central casters are connected by the hexagonal rod. 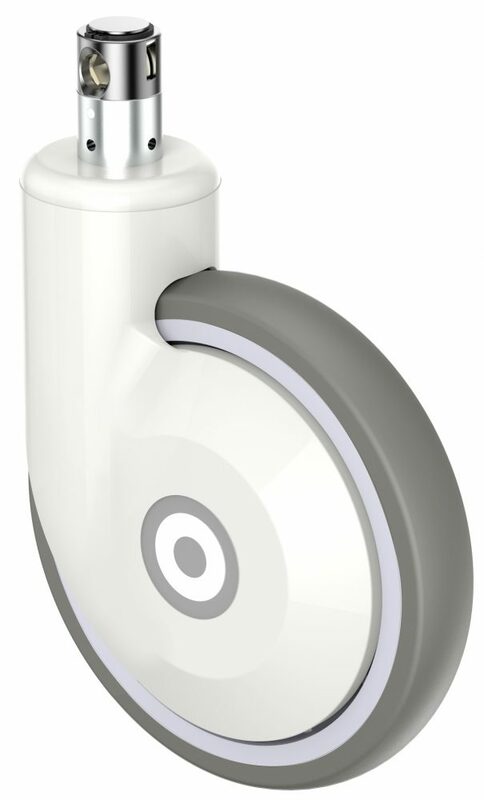 which saves time and labor and brings great convenience to the medical staff.